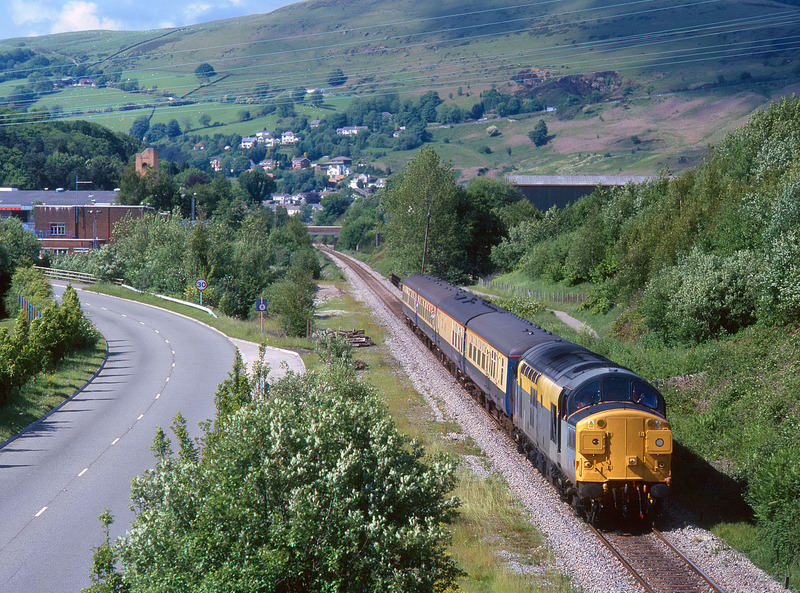 37038 runs alongside the A4058 Rhondda Valley road at Tonypandy on 4 June 2000 with the 2Z05 16:13 Treherbert to Cardiff Central special. This was one of a series of special trains worked by 37038 on this (mostly!) gloriously sunny day.